With 29 combined years of legal experience, Fiore & Barber, LLC has a wealth of criminal law knowledge that makes us a team you can trust. We take a hands-on, hardworking approach to your case and approach from all angles to maximize the chances of success. Throughout the entire process, we work closely with you to establish a relationship based on mutual trust that keeps you informed and at ease with your prospects. Drug crimes. When charged with drug crimes, trust in our lawyers to prove the presence of illegal searches or seizures and find evidence that helps attain a positive case result. White collar crimes. We defend you from unfair punishments for white collar crime charges and protect your career and your future. DUI/DWI. We help you to avoid the stiffest penalties of DUIs and DWIs, including keeping you from serving lengthy prison sentences. Appeals. When you believe a judge, jury or attorney made a mistake in your trial, we help you appeal the result of your case and achieve a positive result. Parole and probation violation. Probation and parole violation carry harsh penalties. We demonstrate a lack of evidence from the prosecution and work to prove innocence on your part. Misdemeanors. We enable you to avoid the social stigma that comes with the conviction of a misdemeanor and prevent you from facing major consequences for the charges. Theft crimes. We provide fair representation for people accused of theft crimes and ensure that the prosecution does not use evidence gained from illegal searches and seizures. Juvenile law. We help preserve your children’s future when they are charged with juvenile delinquency, enabling them to keep a clean record for job, college and military applications. You can receive fair representation and practical advice by working with the trusted attorneys at Fiore & Barber, LLC. We work as hard as possible to ensure a positive case result for you. We strive to keep you informed throughout the process with constant, straightforward communication. 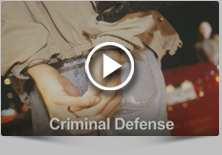 Call us at 215-256-0205 or contact our criminal defense attorneys online to arrange a free consultation appointment. We offer flexible hours on weekends and evenings to accommodate your needs.